DFRobot FireBeetle is a low-power consumption micro-controller intentionally designed for Internet of Things (IoT). This series micro-controllers aims at IoT node of low-power consumption, attending to build the IoT hardware platform quickly and conveniently. There are three types of FireBeetle, containing Boards (main control), Covers (expansion boards) and related Accessories. 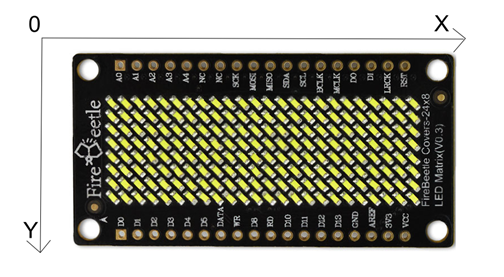 This 24×8 LED Matrix display is special designed for FireBeetle series. It supports low-power consumption mode and scrolling display. 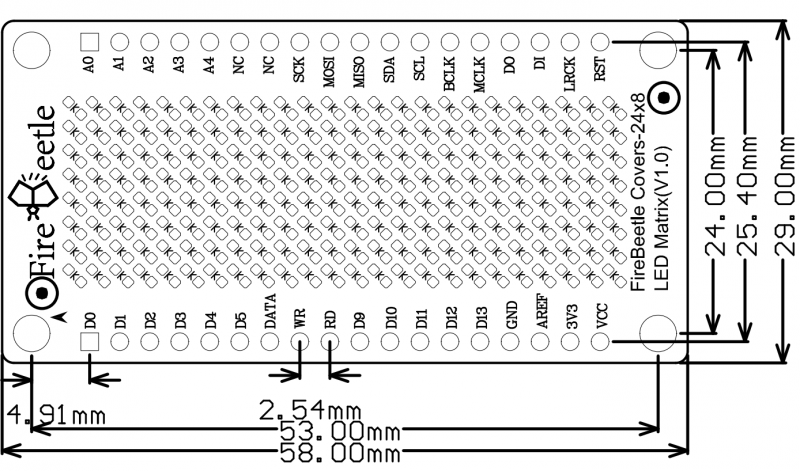 With HT1632C high performance LED driver chip, every led has independent register, which makes it easy to drive separately. It integrates a 256KHz RC clock, only 5uA under low-power mode, support 16 scale PWM brightness adjustment. This product also works with the other Arduino micrcontroller like Arduino UNO. 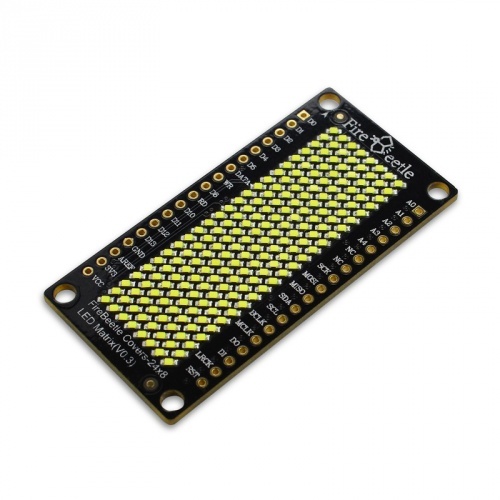 NOTE: FireBeetle Covers-24x8 LED Matrix has 4 CS pin, you can select the CS from the dialing switch, and one FireBeetle can control 4 LED matrix at the same time. 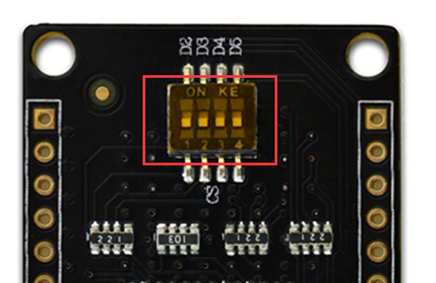 In this section,we will demonstrate several example about how to use this LED matrix. You can use ‘‘setPixel’’ to set the start point, and print str with ms srolling display. 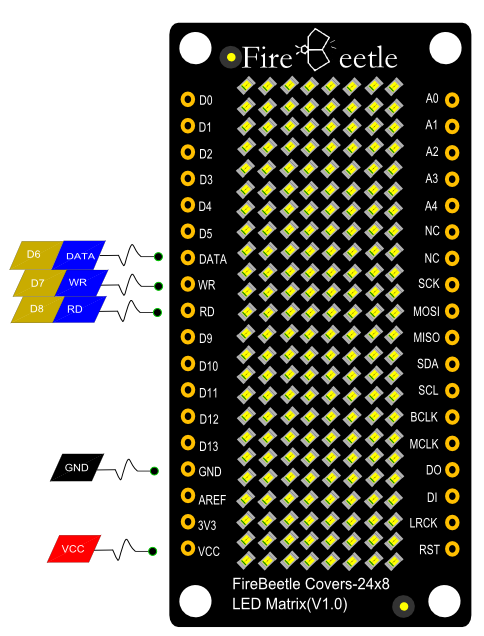 FireBeetle Covers-24×8 LED Matrix support Low-power consumption mode, you can use inLowpower function to enter Low-power consumption mode. When it is in Low-power consumption mode, it will close RC clock automatically. Get FireBeetle Covers-24×8 LED Matrix (White) Get FireBeetle Covers-24×8 LED Matrix (Green) Get FireBeetle Covers-24×8 LED Matrix (Blue) Get FireBeetle Covers-24×8 LED Matrix (Yellow) Get FireBeetle Covers-24×8 LED Matrix (Red) from DFRobot Store or DFRobot Distributor.